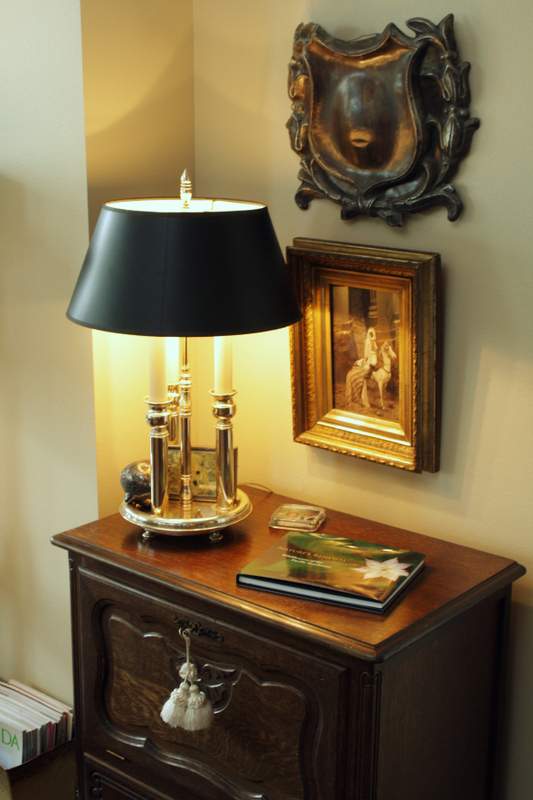 Just because you are downsizing doesn’t mean you have to get rid of your favorite antique pieces! 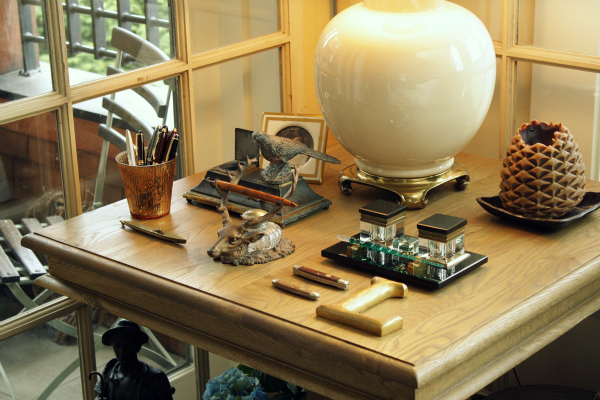 With a little creative thinking and good space planning those beloved hutches, chests, secretaries and bookcases can come along with you. 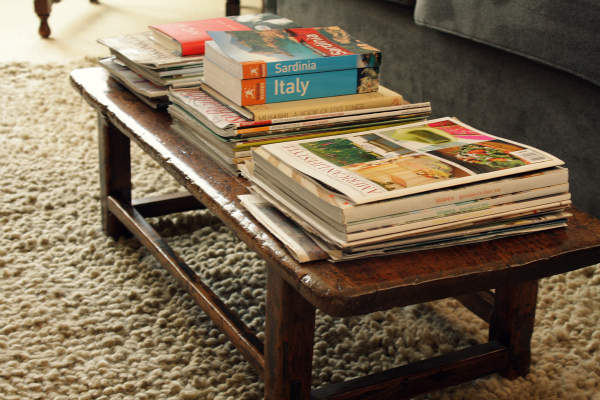 They often provide ample storage, which is key in a downsized home and they almost certainly hold memories and special meaning – so bring them along! Let’s peek into the home one of my own “downsizers” and see how she incorporates her much loved, large scale pieces into her 1,800 sq. ft. abode. Oozing with European style and opulence, this client plays with scale and challenges her space by not being shy about large pieces. Balancing light and dark prevents the room from feeling heavy. High ceilings and ample natural light makes the space appear larger. 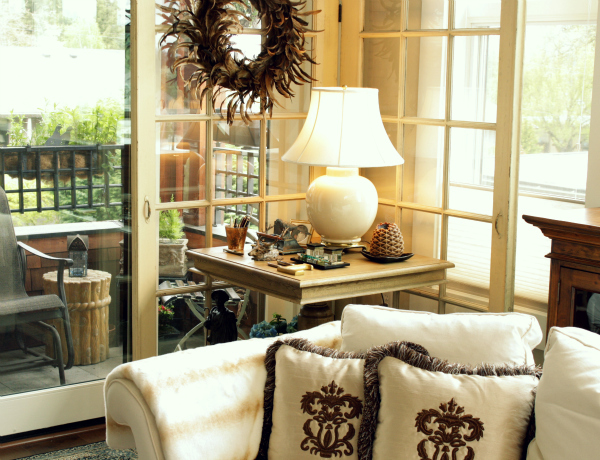 By creating stylish vignettes, she tells a story and creates layers of personal interest with her collections. 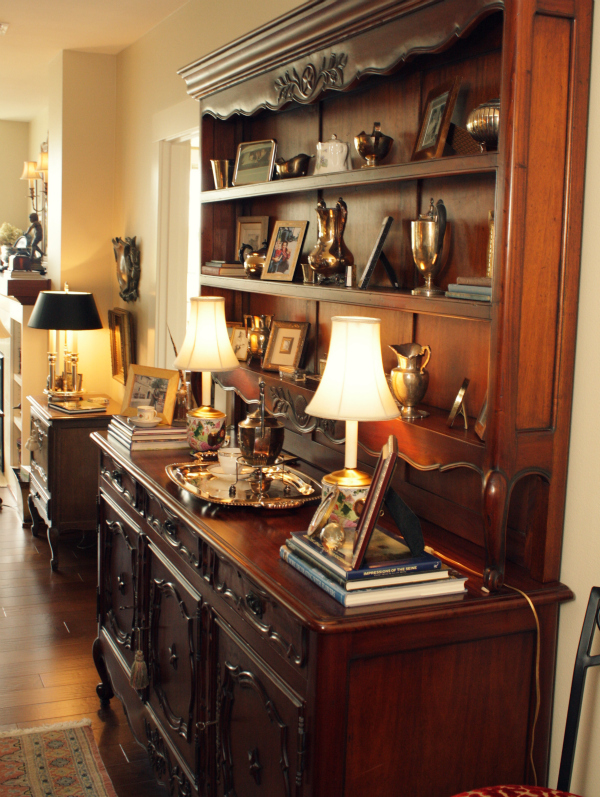 This majestic hutch is right at home in this open floor plan. 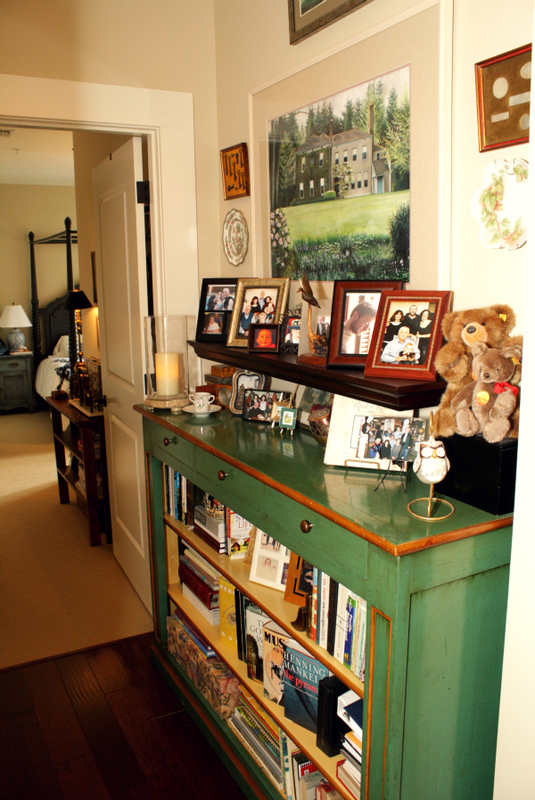 And who would have guessed that this painted bookshelf would fit perfectly into this hallway! A great place to grab a good book and smile at family photos on the way to bed. 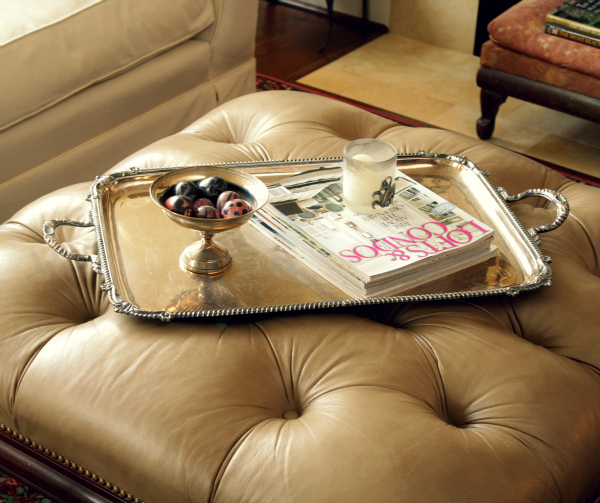 An eclectic sitting room is full of antique finds. 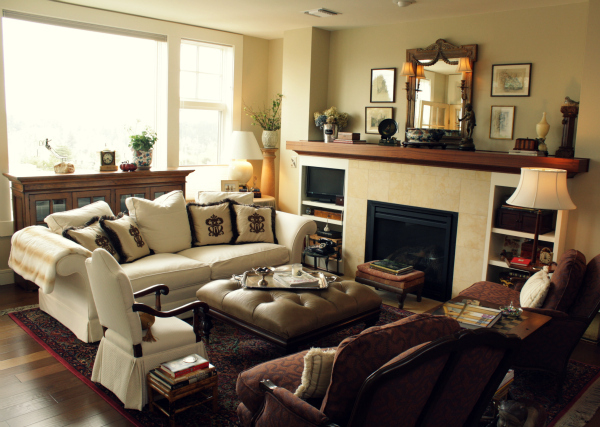 The different styles blend effortlessly, resulting in a room full of character and warmth. So, don’t get rid of all your favorite pieces, thinking you must go buy a complete set of small-scale furniture for your new downsized home. Mix it up, keep what you love, get rid of what doesn’t work, play with scale and create balance within your new rightsized lifestyle. Need help? I’m here for you! Just a question of perspective: is this really downsizing or ‘rightsizing’? Good question Daniel. In this client’s case I believe it was both. 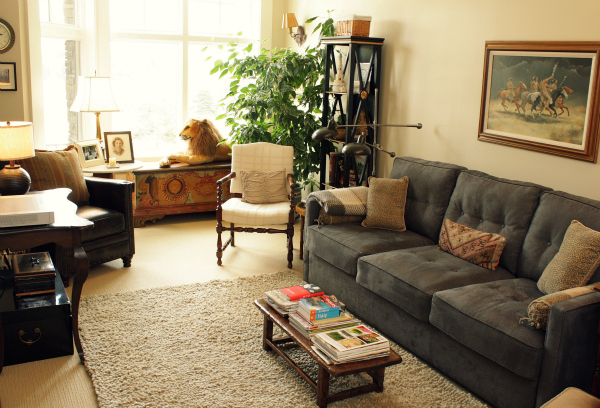 She was downsizing from a large home and at the same time rightsizing her lifestyle. A win win. Thanks for visiting.